A rupture of the eardrum, or tympanic membrane, can occur suddenly and requires immediate attention from a physician. When you experience a ruptured eardrum, it’s usually something that happens very suddenly, and you feel a very sharp pain in your ear for a short time. It can also happen that you have an earache for some period of time which suddenly goes away. While these are the two most common indicators are ruptured eardrum, it’s also possible that you don’t have any warning signal at all. 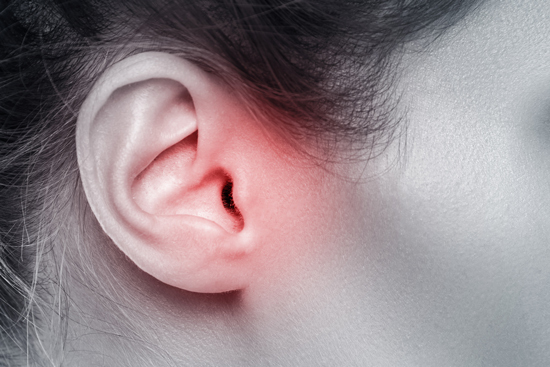 However, if you do experience a ruptured eardrum (sometimes also referred to as a tympanic membrane perforation or a perforated eardrum), it can cause some fairly serious complications. For instance, you could experience some degree of hearing loss, and you could also be subject to more frequent middle ear infections. In some cases, when you’ve sustained a ruptured eardrum it will be necessary to undergo surgery to repair it, although generally speaking if you take steps to protect your ruptured eardrum, it will self-heal within a matter of a few months. When you talk about a ruptured eardrum, what really happens is that there is some kind of a tear in the membrane between the inner ear and the outer ear. This tympanic membrane, as it is referred to, is comprised of tissue which is very similar to the skin covering your entire body. The first main function of your eardrum is to detect vibrating soundwaves and to convert those vibrations into impulses which are relayed to the brain as sound. The eardrum also serves as a protective barrier for the middle ear, keeping out foreign objects and water. The natural state of the middle ear is to be sterile, but when the eardrum becomes ruptured it’s possible for tiny debris and bacteria to penetrate the middle ear, and cause an infection which is known as otitis media. While there are a great number of things which can cause an eardrum to be ruptured, the most common single cause is an infection of the ear. Once the middle ear becomes infected, it allows pressure to build up, and that will press against the eardrum until the pressure becomes so strong that it eventually perforates the eardrum. When this happens, a person might feel the sudden disappearance of pain and pressure which has been there for a long period of time. Along with that sudden stoppage of pain and pressure, there is usually also some draining of pus from the ear to provide a second indication that a rupture has occurred. The second most common cause of a ruptured eardrum is when someone pokes it with a foreign object. This happens frequently when a person tries to clean out the ear with a cotton swab or a bobby pin, in an attempt to remove wax build-up from inside the ear. Children are generally completely unaware of the eardrum itself, and will sometimes insert objects like a stick or some other long object into their ears, simply out of curiosity. Many people don’t notice any symptoms at all when their eardrum has been ruptured, and only consult their family doctor after several days have elapsed, with a general feeling of pain or pressure in their ear. If you’re really paying attention, you might notice that when you blow your nose, you can hear air coming out the ear. By blowing your nose, you force air to rise up and fill in the area of the middle ear, thus causing the eardrum to expand outward. When the eardrum has been perforated though, the air simply rushes out, sometimes causing a sound which is noticed by people nearby. If you suspect that your eardrum has ruptured, consult with a physician immediately for a full diagnosis and treatment recommendation. If you mention to your family doctor that you have experienced any of the symptoms described above, he/she will generally conduct an otoscopic exam. 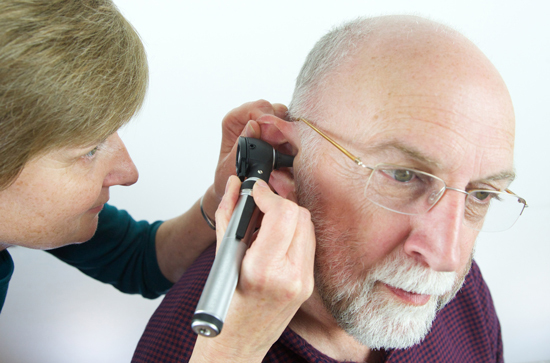 This type of examination uses an instrument with a light to closely inspect the inside of the ear. In most cases, any tear to the eardrum will be visible during this inspection, unless there is too much wax or drainage for the doctor to see clearly. In this case, the doctor will have to gently clean out the affected ear before conducting the otoscopic exam. As part of your examination, the doctor may also conduct various hearing tests to determine how much impact the ruptured eardrum has on your hearing. This could involve in audiology test or a tuning fork test, both of which can help to identify the specific level of hearing loss in a patient. In most cases, any hearing loss is temporary and will be overcome when the eardrum heals on its own. For the most part, no specific treatments are called for when an eardrum has been ruptured since the natural healing process will restore the membrane within about three months. In some cases though, your doctor may prescribe a round of antibiotics to help clear up any existing infections. When a patient is experiencing significant pain as a result of the ruptured eardrum, that pain can be treated by over-the-counter drugs such as acetaminophen or ibuprofen. This entry was posted by Social Media Team on July 4, 2018 at 11:00 am, and is filed under Ear Nose Throat. Follow any responses to this post through RSS 2.0.You can leave a response or trackback from your own site.